Have you found an online vendor selling Batiste Blanc? Batiste is clean. Clean to the palate and clean to the body. I found Batiste at Trader Joe's in Oakland and it's my go to spirit of choice. It takes on the flavors of the ingredients that it's mixed with. It brings out the flavor of a quality amaro in a negroni and doesn't over power seasonal fruit drinks. This rum was rated a 9.5 as of this review. Interestingly, 9 of the 12 reviewers who rated this 9 or more have only one review as of my rating, and 12 of 12 have 3 reviews or less all within 3 weeks of each other. So I'm guessing the 9.5 score is bogus. Regardless, I found this rum to be an interesting, slightly above average agricole blanc. Smells and tastes of sugar cane, floral notes, and maybe even a little ginger. Quite unique. Though good, I think the Clement agricole blancs are a better choice. As with a previous reviewer, I found this at my local Trader Joe's. I'd been wanting to see what rhum agricole was about, but had been dissuaded by the fact that it's hard to find one at a decent starter price. At $15 a bottle, I figured I couldn't go wrong with this one. And I would say that that's what it's actually worth. I knew I should expect something different than what I was used to, as agricoles are fermented from freshly-pressed cane sugar rather than molasses. If you dig deep when tasting it, you can pick out the characteristic vegetal notes that are associated with an agricole. However, in my experience this was entirely overwhelmed by the strong mid-notes of the Batiste that taste uncomfortably similar to the scent I get in my nose after filling up my car at the gas station. I wasn't sure if perhaps this was just what agricoles tasted like, and they weren't my cup of tea; I found that surprising, given that I'm a lover of peaty Islay scotches and extremely funky pot still rums, but I supposed it was possible. But then I recently had the opportunity to try the Clement Blanc, and it had all of the clean, fresh vegetal characteristics without the odd gasoline flavor. I found that mixing the Batiste traditionally in a ti'punch mellowed the gasoline flavor, and it was largely drowned out in just about any mixed drink I put it in, but it didn't really add anything in those contexts either. It was a fine introduction to agricoles and I don't feel bad about the money spent, but next time I'll be saving up the extra money to buy the Clement Blanc instead. I was disapointed by this bottle. It taste sugarcane, alcool, nothing else. This is an interesting little rum. It's light and "clean" and fresh, as others mention. There's really not much heft to it at all. 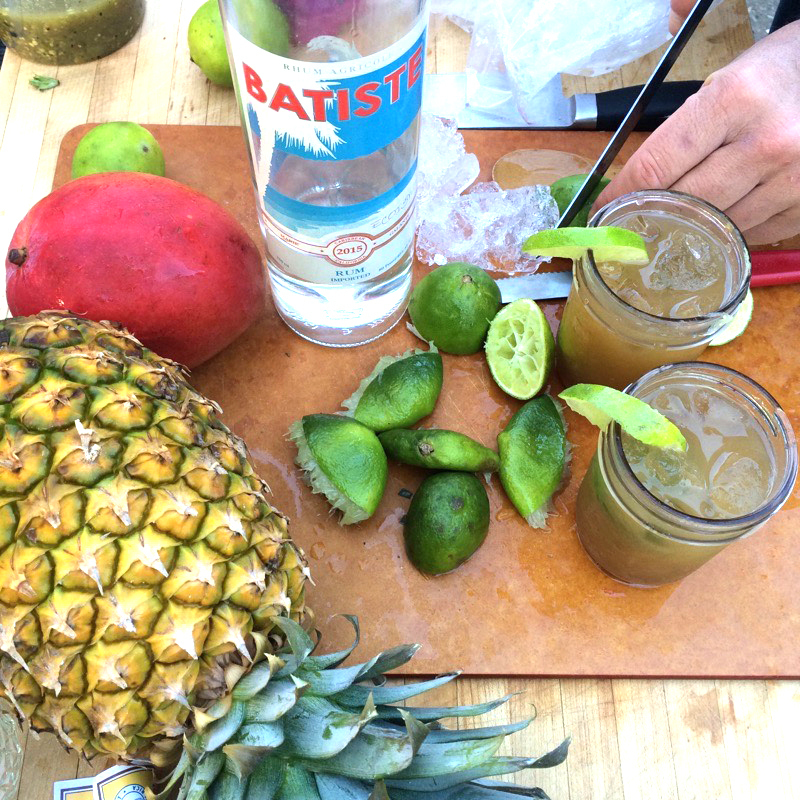 There are aromas of coconut water, grass, and subtle sweetness, and no alcohol (great!). The palate follows suit. You could use this as a white rum, an agricole, or even a vodka substitute (for which I think it would excel). As an agricole, its flavor pales in comparison to the others I've tried. You can make a workable Ti' Punch out of it, and it's very sippable and quite good, but it's nothing at all like an agricole out of Martinique. A 50+% version would be interesting, and I believe it would be fine indeed; too bad it's been watered down so much. Overall, though fairly bland, I think for many people this will be a point in its favor. The lack of alcohol notes on the nose, decent price-point, and eco-friendly marketing-speak makes it easy to recommend to others (could be an 8 for some). But myself, I'll likely go elsewhere for my white mixing rum needs. Update 8/2017 - Now that the bottle is almost empty, I do appreciate it a bit more. It's a shadow of what most agricoles are—you can detect similarities if you know what to look for. Still, it's far too diluted and dull for the neat rum taster. It remains a decent mixer for the vodka crowd, but I won't be buying another bottle. I wish I had liked it more, but for me it had an unpleasant aftertaste, somewhat dirt flavored. I purchased Batiste at my local Trader Joe's and was happily surprised to find it so easy to drink even straight, clean flavor. A must try and not just a summer drink! 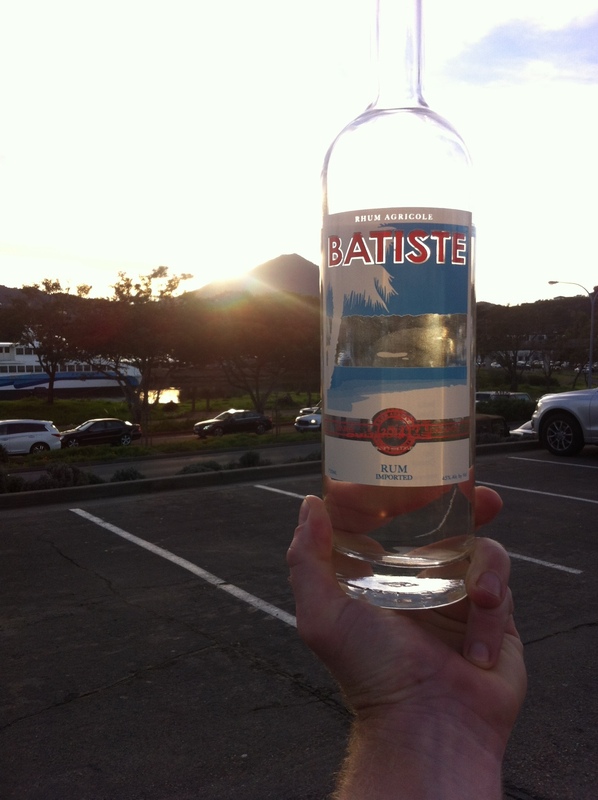 Words that come to mind when I think of Batiste Rhum: Clean, Elegant, Fresh. Unlike other agricole rhums, it isn't weighed down by overpowering nutmeg. The sugar cane flavour comes through, without dominating. It's light on the palate, with a touch of salinity. It works best in cocktails that don't have a ton of ingredients, as it is a delicate rhum.. A daiquiri with Batiste is perfection. I picked some up at Noe Valley Wine Merchant in SF. Great price for a clean and refreshing tasting run. Batiste with ginger beer has become my drink of choice at home. Enjoy. I do not usually drink hard alcohol but, i recently started drinking batiste with some friends and coworkers and i have been converted to a rum drinker. It is perfect over ice or in almost any cocktail. Super easy to work with and goes down smooth with no hang over or headache. If i am not drinking my own home brew beers, i'm drinking batiste!